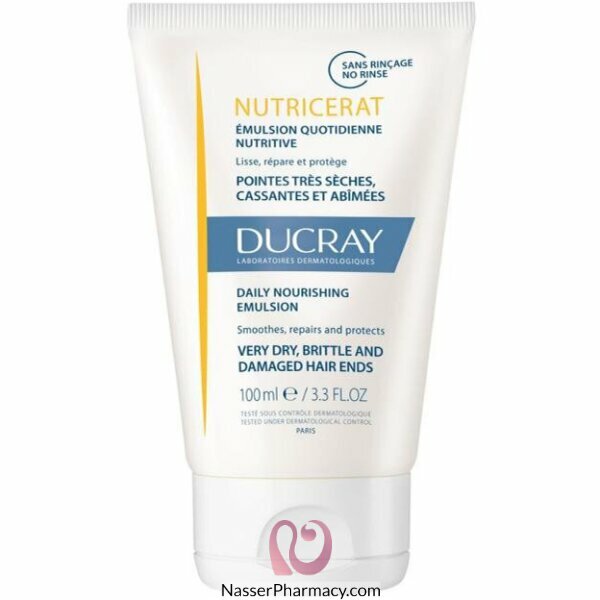 Ducray Nutricerat Intense Nutrition Daily Emulsion is designed for dessicated hair, particularly at the level of hair ends. Thanks to the richness of the very nourishing Illipe Butter and to the sheathing relipidating complex, this care allows to smooth and protect the very damaged hair tips, thus facilitating detangling and hair styling. Apply a knob of product to dry or wet hair. Massage well the hair ends until complete absorption. Do not rinse.